The Norwegian Competition Authority’s Privacy Declaration for third parties. Processing of personal data at the Norwegian Competition Authority. When you visit our website or contact us in any other way, the Norwegian Competition Authority will process your personal data. Below you will find information regarding the personal data we collect, why we collect it, and your rights relating to the personal data we process. If you have any questions about how we process your personal data, please contact the Norwegian Competition Authority’s Data Protection Officer Lorna Fredriksen by e-mail at lofr@kt.no or by phone on +47 55 59 76 48. Notify us of violations of the Norwegian Competition Act: You can notify us of violations of the Norwegian Competition Act via a web form, by phone or by e-mail. You do not have to disclose your personal data. Notifications will be assessed by the case handler. The Norwegian Competition Authority has a duty of confidentiality regarding the identity of individuals who notify us of violations of Sections 10 and 11 of the Norwegian Competition Act. Notifications concerning mergers and acquisitions: You can notify us of mergers and acquisitions that might raise competition concerns in Norway. You do not have to disclose your personal data. Notifications will be assessed by the case handler. Submitting a complaint: You can submit a complaint about actions that could affect competition via a web form, by phone or by e-mail. Contact us: You can contact the Norwegian Competition Authority via a web form, by phone or by e-mail. You can register your name and e-mail address or phone number when you notify us via a web form. Your web form will be distributed to the department/case handler, who will then process and answer your enquiry. Information submitted via a web form is never stored in konkurransetilsynet.no’s publication system. Enrolling for courses: When you enrol on a course, information is stored for course administration purposes and to collect course fees. Website statistics: The Norwegian Competition Authority uses Google Analytics and Siteimprove to generate statistics about the number of visits to kt.no. The data is processed in an anonymized and aggregated form. Anonymized data cannot be traced to individual users. The purpose of processing is to compile statistics that the Norwegian Competition Authority can use to improve and enhance its website. These statistics include the number of visitors to different pages, the length of these visits, and which web browser the visitor uses. The NCA has its own website, and logs traffic in order to prevent undesired traffic and combat cyber-attacks. We use Outlook to issue news alerts for journalists, lawyers and anyone else who requests news alerts from the Norwegian Competition Authority. The Norwegian Competition Authority has accounts on Facebook, Twitter, Instagram, LinkedIn and YouTube. We use social media for our information and awareness campaigns in connection with our important social assignments. This includes communicating relevant cases relating to our activities and work, technical updates, vacant positions and events. The Norwegian Competition Authority refers to the respective services’ privacy policies. The Head of the relevant department has day-to-day responsibility for the Norwegian Competition Authority’s surveys. 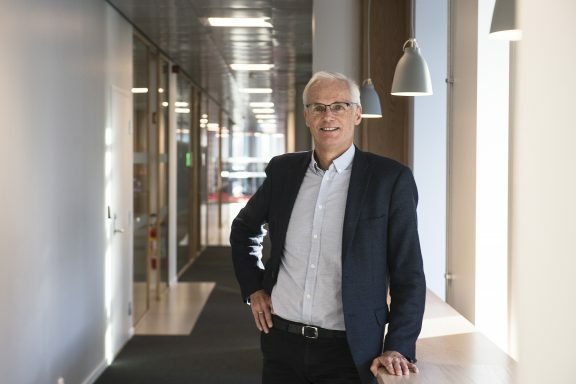 The Norwegian Competition Authority uses the company Respons Analyse to carry out surveys, and has entered into a data processor agreement for this purpose. We will always inform you of the purpose of our surveys, and whether they are anonymous or not. The Norwegian Competition Authority will not share personal data with third parties or use the information for purposes other than those stated. If a survey is anonymous, neither the Norwegian Competition Authority nor Respons Analyse will collect any information that can be connected to you. If a survey is not anonymous, the Norwegian Competition Authority can identify individuals who have completed the survey. If we use Respons Analyse to issue the survey, we will share your e-mail address with SendGrid. When you visit the Norwegian Competition Authority, you must register in the shared reception area in Zander Kaaesgt using Visitor Systems AS’ visitor system. Here you register your name, the person you are visiting, and your mobile phone number if you want the system to “remember” you next time you visit. The information you register is stored for one year and then deleted. Cameras are installed on the outside of the building in Zander Kaaesgt. 7. The building owner, KLP, stores images from the cameras in accordance with an agreement with the Norwegian Data Protection Authority. Images can be used in connection with break-ins and are automatically deleted after eight days. All applications for positions on our website www.konkurransetilsynet.no are submitted via the recruitment system EasyCruit. This is an external cloud-based solution supplied by Visma. To apply for a position, you must create a profile with login information (username and password). All personal information you register and any documents you upload during the recruitment process are stored in this system for up to one year before being deleted, unless you have given us consent to store the data for longer. Personal data delivered in connection with requests for access will be supplied in accordance with the Norwegian Freedom of Information Act and the Norwegian Public Administration Act. Please note that standard e-mails are not encrypted. All enterprises and private individuals can exchange encrypted e-mails with the Norwegian Competition Authority. The Norwegian Competition Authority sends encrypted e-mails to enterprises via Altinn, or to enterprises and private individuals via CISCO Ironport. Private businesses and individuals who wish to send encrypted e-mails to the Norwegian Competition Authority should first send an e-mail to post@kt.no to agree a method of despatch. The Norwegian Competition Authority only shares personal data with subcontractors as described in items A–H. The Norwegian Competition Authority uses Public 360o’s archiving and case processing system, which includes electronic journalling and electronic document storage. Public 360o is supplied by Tieto AS and satisfies the public-sector document management standard (NOARK). The Archive Manager has day-to-day responsibility for systems and archiving. The respective Heads of Departments are responsible for ensuring that actual case processing complies with the regulations in their own departments. The Norwegian Competition Authority processes personal data in order to fulfil its statutory duties in accordance with the Norwegian Personal Data Act, the Norwegian Public Administration Act, the Norwegian Freedom of Information Act, the Norwegian Competition Act and the Norwegian Archive Act. Different types of personal data are registered in the archiving and case processing system. These include names, addresses, phone numbers, e-mail addresses and other relevant information stated in the enquiry. Registration and storage is carried out in accordance with archiving legislation. Case documents may contain sensitive personal data. As part of its mandatory case processing, the Norwegian Competition Authority collects data based on legal authority (Section 24 of the Norwegian Competition Act). Requests for access to personal data are processed and answered in accordance with the Norwegian Freedom of Information Act, the Norwegian Public Administration Act, the Norwegian Competition Act and the Norwegian Personal Data Act. Information required to process complaint cases (complaints relating to rulings), will be transferred to the Norwegian Competition Authority’s Complaints Board, which is the Authority’s administrative appeals body. Special security measures and procedures have been established for data specified as being worthy of protection in the archive, such as personal data. The Norwegian Competition Authority must make its records of governmental correspondence available to the general public online. The records are a register of all incoming and outgoing case documents, and are made available in eInnsyn, a shared database for government agencies. The coordination of records of governmental correspondence is an online service which is available to the general public. Section 7, cf. Section 6 fourth para, of the Norwegian Freedom of Information Act specifies the data that shall not be published in such records. Personal names shall not be searchable more than one year after they have been entered. You have the right to request access to and correction or deletion of the personal data we process about you. You also have the right to request limited processing and to object to the processing. You can read more about these rights on the Norwegian Data Protection Authority’s website: www.datatilsynet.no. If you have any questions or would like to exercise your rights as a data subject, please contact the Norwegian Competition Authority’s Data Protection Officer Lorna Fredriksen at lofr@kt.no. To exercise your rights, please send an enquiry to post@kt.no. Your enquiry must specify which information and/or type of processing you are requesting and the legal basis of your right to do so as well as your contact information. We will respond to your enquiry as soon as possible and within 30 days at the latest. We will ask you to confirm your identity or provide additional information before we allow you to exercise your rights in relation to us. We do this to be sure that we only give access to your personal data to you – and not to someone claiming to be you. The Norwegian Competition Authority processes personal data based on relevant legislation or consent. You may withdraw your consent for our processing of your personal data. If you believe that our processing of personal data is not consistent with our description above, or otherwise violates privacy legislation, you can complain to the Norwegian Data Protection Authority. For information on how to contact the Norwegian Data Protection Authority, please visit the Authority’s website: www.datatilsynet.no. Any changes to our services or to the regulations governing the processing of personal data could affect the information provided here. This privacy declaration will be updated on an ongoing basis. Konkurransetilsynet si hovudoppgåve er å handheve konkurranselova. Konkurranselova forbyr samarbeid som avgrensar konkurransen og misbruk av dominerande stilling. Verksemder har plikt til å melde fusjonar og oppkjøp til Konkurransetilsynet, og tilsynet kan gripe inn mot oppkjøp og fusjonar som avgrensar konkurransen vesentleg. Tilsynet kan på sjølvstendig grunnlag vurdere offentlege ordningar og reguleringar og påpeike konkurranseavgrensande effektar. I det daglege arbeidet blir det lagt vekt på å gi oversiktleg informasjon og rette incentiv til marknadsaktørane, til beste for forbrukarane, næringslivet og offentleg verksemd. Konkurransetilsynet ønskjer å vere ein brukarorientert etat. Våre vurderingar og vedtak skal halde eit høgt fagleg internasjonalt nivå, og vi skal møte partane med profesjonalitet og respekt. Nærings- og fiskeridepartementet legg rammene for Konkurransetilsynet sitt arbeid. Konkurranseklagenemnda er klageorgan for Konkurransetilsynet sine vedtak. Klager stiles til Konkurranseklagenemnda (KNS), men sendes til Konkurransetilsynet. Konkurransetilsynet vart etablert 1. januar 1994, samtidig med at konkurranselova og pristiltakslova tredde i kraft. Pris- og konkurransestyresmaktene si historie strekkjer seg likevel heilt tilbake til starten på første verdskrigen.